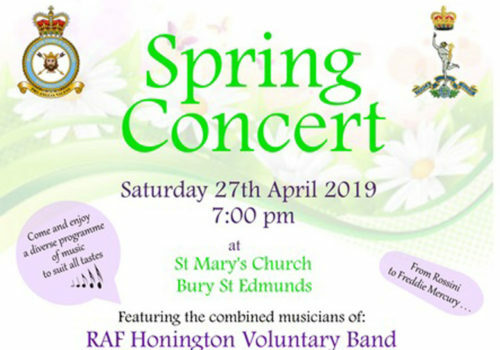 Historically, there has been a band at RAF Honington since the 1950’s, fulfilling engagements on the station itself and in the wider community. As part of the Royal Air Force Voluntary Band Association the band’s function is to represent the RAF at the highest level, undertaking a diverse programme of engagements, ranging from marching parades and private functions, to dinner nights and concerts, using a variety of musical ensembles from small groups to full concert band, recently taking part in the RAF 100 celebrations in London. The band have performed many concerts within the local community forging an excellent following from our audiences, using social media and a personal approach. The band look forward to working with The Royal Signals (Northern) Band once again to enjoy a wonderful Spring Concert. The Royal Signals (Northern) Band, located in Darlington, is one of 19 Army Reserve Bands based in the United Kingdom. The band’s history goes back to 1952 when the then Commanding Officer received a letter from Durham Territorial Association stating that it was prepared to authorise an additional Band for Territorial Army units in the association area. The Band currently has 31 musicians and draws its members from ex-regular forces and civilians from all walks of life. Amongst its members are school teachers, civil servants, printers and equine physiotherapists. The band regularly performs around the country as a Marching Band, and Concert Band for official events and also provides a wide variety of small ensembles including Brass Quintet, Saxophone Quartet, Woodwind Group and Jazz Combo. Collections and purchases can be made at St Mary’s Church from 6.15pm on the day of the performance. Sat 27 Apr at 7:00pm 7:00pm Book Now!